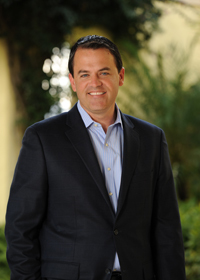 Charles is the Founding CEO of Place of Hope, a faith-based and state-licensed family-style residential child-caring agency for abused and neglected children, located in Palm Beach Gardens, Florida. He earned his B.A. degree in Sociology from Florida Atlantic University and also studied at the University of South Florida in Tampa, Florida. Charles came to Place of Hope in 1999 following many years of work with various housing, social, and human services organizations throughout Palm Beach County. He has participated in numerous community committees, task forces, special initiatives, and boards. He has been a team member of several other local leading organizations including: Palm Beach County Housing and Community Development, Adopt-A-Family of the Palm Beaches, Inc., the City of Delray Beach Community Development Division. The majority of Charles' work has involved low-income individuals and families, homeless and substance abusing populations, and at-risk/dependent children and youth. Prior to spearheading implementation of Place of Hope, Charles was a primary volunteer in the multi-year visioning and development processes while still a "vision" of Christ Fellowship (founding church). Charles has significant experience developing and administering social programs and low-income housing initiatives, executing growth plans, implementing federal, state, and local funding programs, building organizational capacity and community coalitions, enhancing service delivery systems, raising capital and annual operating funds, and managing overall non-profit operations.